We are well into our dry season and the summer heat is at its peak. The tourist season this year was impacted by the World Cup and I think that a fair number of football couch potatoes were staying glued to the TV screen until the frenzy was over. There are now large numbers of visitors to the country. According to the Israel tourism Ministry over 1.6 million people have visited during the first six months of 2010. 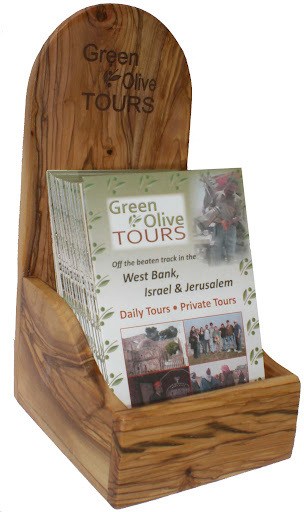 In the meanwhile Green Olive Tours continues to grow with the publication of our first booklet that details our tours. You can order the booklet online or download it from the website. We encourage you to order multiple copies and help our distribution in your country. ➜ Mitchell from San Francisco breezed through the country recently and send us an interesting personal anecdote to post on the blog. A little humor at a checkpoint of an Arab/Jewish community in Israel. . . . . Read more. ➜ The new Samaritan Museum is now open on Mount Grizim, presided over by Priest Husney Cohen. . . . . . Read more. ➜ Some of you may know about the 'Israeli only' road, route 443, that slices through the West Bank Northwest of Jerusalem. Recently a limited amount of Palestinian traffic was permitted on the road, and a roadside café was established by a settler at the new entrance to the Gvat Ze'ev settlement. Espresso anyone? - just meters from the separation barrier, complete with rolls of razor wire and fine views of captive Palestinian villages beyond . . . . . . Read more about this bizarre café. This past month has seen an upswing in home demolitions in Jerusalem, increased repression on non-violent demonstrations, attacks against journalists by the IDF, and ongoing ethnic cleansing in the Bakka Valley, Jordan Valley, and the Negev Desert. Business as usual for the Occupation authorities. See the details here. • Directory of services - hotels, car rental etc. • Directory of Green Olive Sponsors. We are offering you the opportunity to help sponsor the mission of Green Olive Tours, while also promoting your business or organization to a sophisticated and discriminating International public. 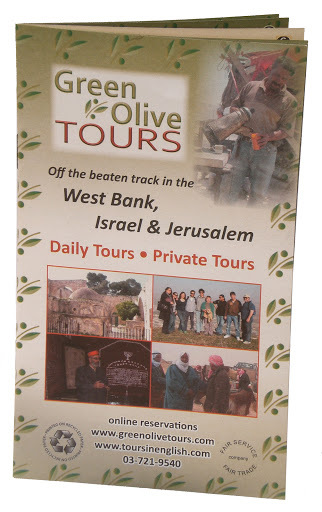 Don't miss this great opportunity to partner with Green Olive Tours. 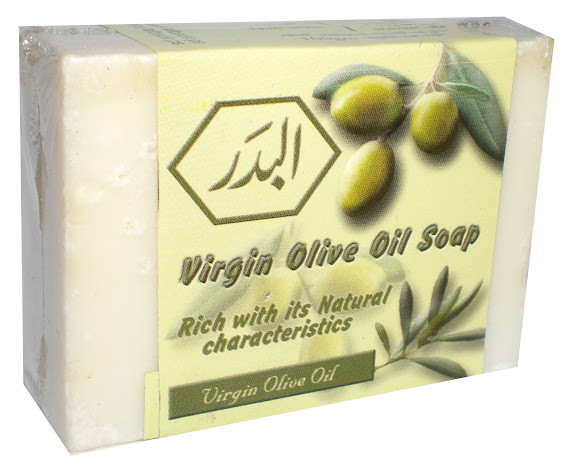 Premium gifts including packs of booklets, the Olive Wood display stand and and Olive Oil soap are offered to all sponsors and advertisers, plus you will receive a listing on our web site. Explore this opportunity and reserve your space now. Dorina Buda, a Phd. candidate at Waikato University in New Zealand is researching the dynamic between tourism and the political situation in Israel/Palestine and Jordan. She was recently in the country and took several tours. Her work is exploring how the instability affects tourist’s decisions to travel to the region, and their reactions during their trip. If you are currently in Israel/Palestine, have traveled or are planning to travel to the area, then this project might interest you.